Wellington Financial LP, a Toronto based specialty finance firm, will provide a debt commitment of $24 million (U.S.) to contract management software company Exari and partnered with Beacon Equity Partners for the acquisition. VersaBank has decided not to proceed with its original public offering of non-cumulative 5-year rate reset preferred shares of the Bank. Homeowners who may be sweating the real estate price drops and worrying about their home equity are encouraged not to make knee-jerk reactions according to a recent article from Toronto-based Zoocasa. The YMCA Toronto highlighted its current and past Women of Distinction Award recipients in celebration of Canada’s National Aboriginal Day. Twelve screenwriters and creatives from Canada will join local and international industry experts to participate in TIFF's Studio 2017. After a 10-month search for a president and CEO, William Osler Health System (Osler) recently named Dr. Brendan Carr to the position. Scientists in Toronto from The Hospital for Sick Children (SickKids) have joined other researchers from around the world in finding breakthroughs that will help develop treatment for children with medulloblastoma. The Canadian Real Estate Association (CREA) recently released its May market numbers, which showed a continued slowdown of sales in the Toronto market and sales-to-listings and revealed a buyer’s market. TORONTO — Ubisoft Toronto has caused a stir in the gaming industry with its recent first-stage launch of a vehicular combat game, marking the studio’s first push into the gaming industry’s intellectual property realm. 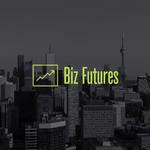 The Toronto Business Development Centre (TBDC) recently hosted an information session for its Biz Futures program during which participants get business-plan training, as well as advice and support, throughout the implementation and startup of their business. Uproar PR has tapped Laura Poe, a seven-year marketing and public relations veteran, as its new social media director. The Canadian Real Estate Association (CREA) recently released statistics showing a significant drop in national home sales and slight increases in listings and home prices for May. The radiation oncology team at Sunnybrook Health Sciences Centre’s Odette Cancer Centre Central Nervous System is the first in the country to use the Gamma Knife to target tumours that have spread to the brain. A recent study published in the Journal of Oncology Practice shows recent immigrants to Canada who developed cancer have fewer deaths than nonrecent immigrants. The Canadian Real Estate Association's (CREA) recently updated home sales activity forecast shows varying market trends from across some of the country’s regions. The Toronto Region Board of Trade is seeking nominees for its annual Business Excellence Awards, which highlight small to midsize businesses and individuals who have shown growth, leadership and achievement. Toronto’s annual citywide culinary event, Summerlicious, will be back for its 15th year next month and will feature 200 of the city’s most popular restaurants offering three-course meals. News Media Canada is speaking out on the issue of a free press and urging the Canadian government to not only ensure journalist’s rights but to also modernize the existing Canada Periodical Fund. The Brampton Real Estate Board will host a community barbecue next month featuring local vendors, games, prizes and family activities to help support the Ste. Louise Outreach Centre Food Bank. Hudson’s Bay Co. (HBC), a global retail business group headquartered in Brampton, recently elected 11 directors to its board during the company’s annual shareholder meeting in Toronto.